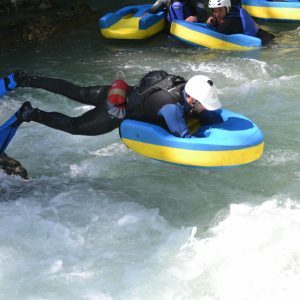 Also know as ‘white water sledges’, hydrospeeds are chunky floating foams that your hands and arms fit into helping you to navigate yourself down the river. Frogs Rafting will either meet you at their base or a designated car park where you will be transferred to the take off point. Your initiation will take place in a calm area with an English-speaking instructor to ensure that you feel comfortable using the hydrospeed and flippers before you enter the water. 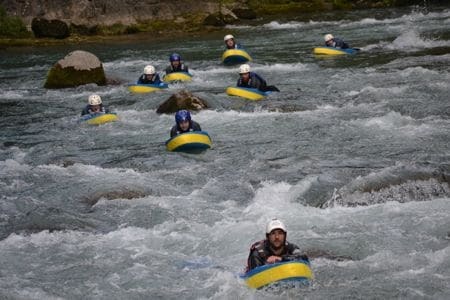 They will teach you how to use the float to steer, stop and read the river before letting you loose on the rapids and to surf the waves. You will be provided with all the necessary equipment including wet suits, helmets, life jackets, flippers and your hydrospeed. All you need to bring is some dry clothes, a towel and your swimmers. 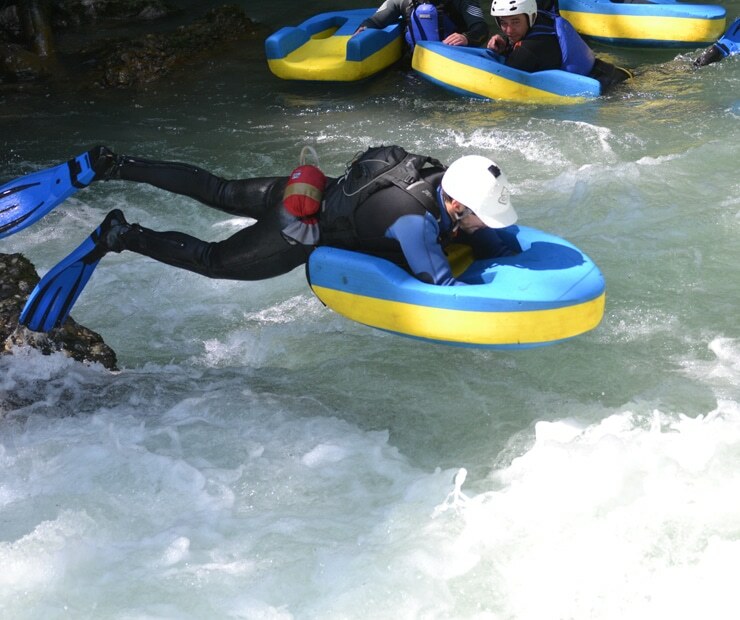 Hydrospeeding is not for the faint hearted so all participants must feel confident in water and be able to swim 25 metres unaided. The trip takes between 2 – 2.5 hrs and the minimum age is 14 years. You can either pre book before your holiday or when you arrive / during your stay in Morzine. 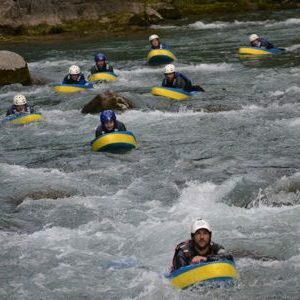 For more information call us on +33 (0) 9 67 67 08 38 or to book call Frogs Rafting directly on +33 (0) 609 308 077.